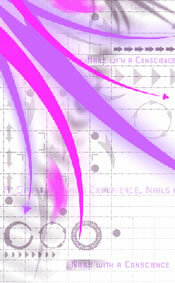 Our Vision at A Harmony Nail Spa is to go beyond the zone of the ordinary to the extraordinary. We strive to create a Harmonious environment filled with beauty and love. It is our sole purpose to enhance natural beauty, to bring beauty from the inside out, to cultivate an inner awareness of peace, love, joy, and good health. We see ourselves providing the best beauty and wellness services at all times, with a focus on internal matters, treating each client as our most cherished loved ones. We aim to help all remember that miracles are real, that Angels exist, and that there is more good in the world than is could ever be imagined. We are not your typical salon, we are something much more, and it is our intention to perform our services is a state of gratitude and blessings, we see the future of all business operating from the highest level of intuitive awareness, and truly treating people with love, compassion, generosity, while all the while providing needed and desired services in professionally loving ways. We see our client as the most important part of our day, without you we could not be here. We know that each day is a blessing to be alive, and we hope to share positive feelings thoughts and ideas to our clients, and to the world around us, we strive to encourage our clients, staff and communities to dare to dream, believe in themselves and know that each and every human being and life on the planet is a gift and to be respected and treated with unconditional love. At the core of our Vision is the spiritual health of our business, our team, management, those we do business with, the community, we believe in blessing all we meet, all we do, this Vision we ask that all whom come in contact with our Company and Associates receive blessings a hundred fold, blessings of love, peace, joy, prosperity, health, and compassion. We strive to operate on the level of spiritual awareness, intuitive awareness; we sense deeply, we know deeply, we feel deeply. Many Blessings to A Harmony Nail Spa and all the lives it touches for eternity. Like a ripple in the cosmic pond of life, we pour love, unconditional love into this pond that holds all life, we are blessed to be a part of something so great and magnificent as this reality we call Planet Earth, and Life. And so it is Amen.